SEM Junior Shelly Goel competed at the Texas Science and Engineering Fair 2018 in San Antonio, TX. She won the highest award of the evening: Senior Division Best of Show Award given to the top project in the High School Division. This is the first time any student from Dallas ISD has won the Best of Show Award at the Texas Science and Engineering Fair. She also won 1st Place Grand Physical Sciences Award in the Senior division after being awarded 1st Place in her Biomedical Engineering category. Shelly also won the 1st place Special Award from the Texas Board of Professional Engineers Future Engineer Award. 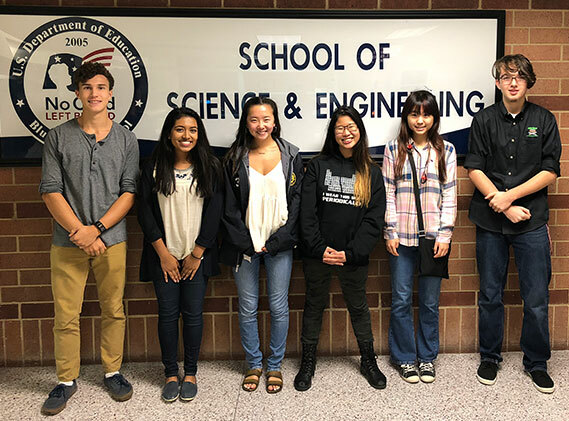 Additionally, Shelly qualified for and will be competing at the International Science and Engineering Fair (ISEF) in May in Pittsburgh, PA.
Shelly’s project is titled An Electronic Device With An Integrated Mobile App for Early Detection of Cardiovascular Diseases: A Low-Cost, Easy-To-Use, Non-Invasive Device And Comprehensive, Multi-Parametric Smartphone App. In her research, she developed a low-cost, easy-to-use, non-invasive electronic device to obtain a continuous blood pressure waveform at the Brachial artery. The device was integrated with a user-friendly “Blood Pressure Analytics” Smartphone App for real-time, multi-parametric analysis and comprehensive assessment of a patient’s cardiovascular condition. Minimal training and expertise is required to operate the Device and App allows for its integration in any environment including the home setting, thus creating a major global impact. Using this device as part of an annual wellness visit at primary care physician’s office can largely eliminate sudden “silent” deaths through monitoring of the progression of cardiovascular condition in middle-age adults and accordingly directing them to specialists for optimal treatment early on. 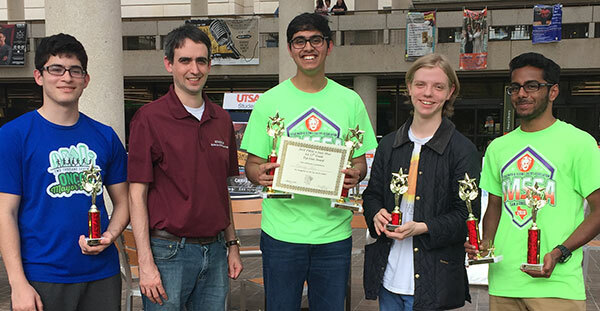 On March 17th, the Science/Engineering Magnet Math and Science teams traveled to San Antonio to compete against the top math and science teams from across the state at the Texas Math and Science Coaches Association (TMSCA) State Meet. 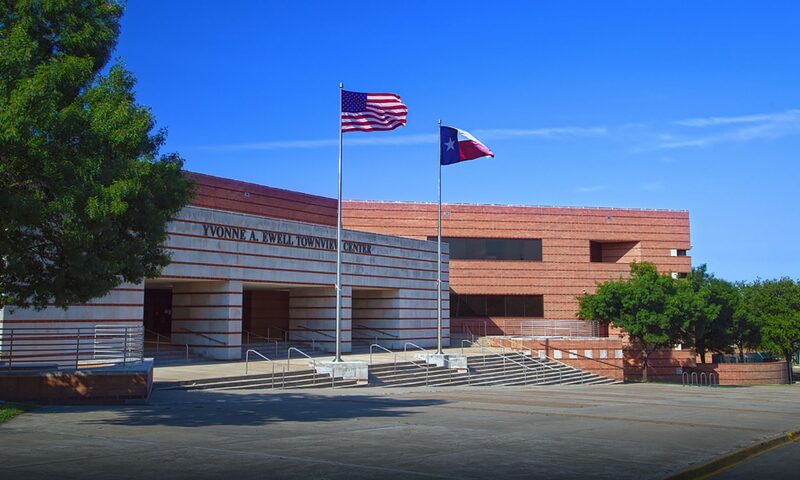 TMSCA exists to support the math and science UIL programs in Texas and hosts this meet each year to give teams from all across the state a chance to see how they compare as the District, Region and State UIL Meets approach. The Top Gun award is for the top student in each grade. Students are awarded points each time they place in the top 15 of an event, and the student with the most points at the end of the day is named the Top Gun. We had three students who finished in the top 6 of the Top Gun standings for their grades. Both seniors will be receiving a scholarship from TMSCA. Please congratulate these students on their performance, and thank you to all of the students that competed for SEM.